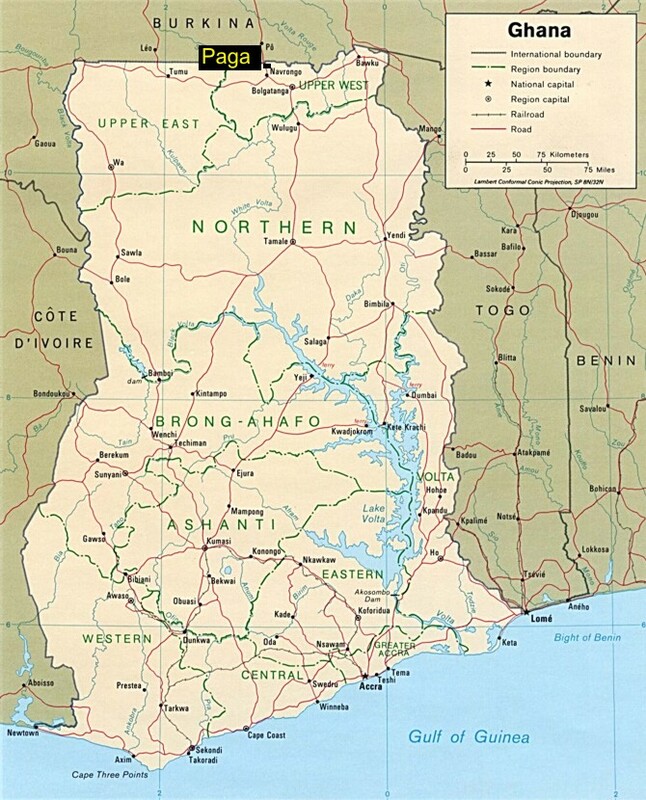 Paga is a border town - the most popular crossing point between Ghana and Burkina Faso. 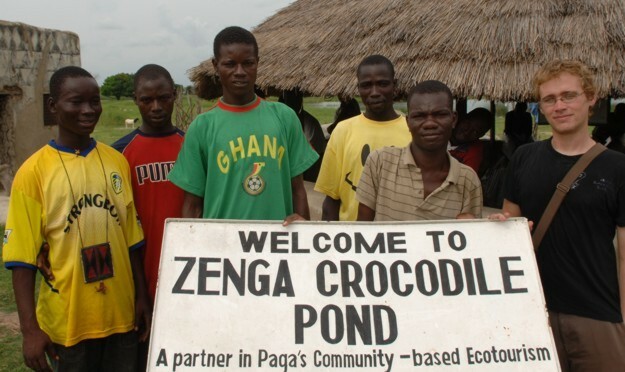 The town is known for it's Sacred Crocodile Ponds, so of course it was high on list of places to visit. Jon had never been there either and had always wanted to see the ponds. 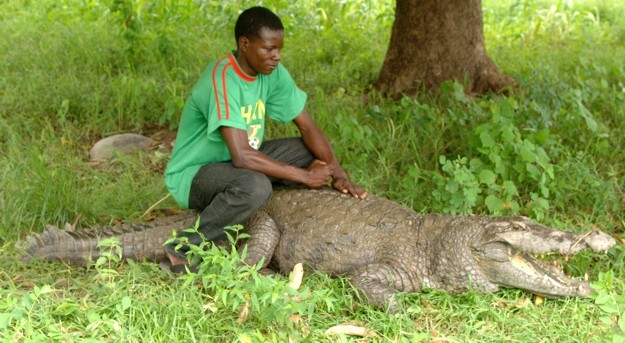 If you would like to sit on a live 14 foot long crocodile, Paga is the place for you.